Barter Books : Athawes, Peter D : Yeomanry Wars. 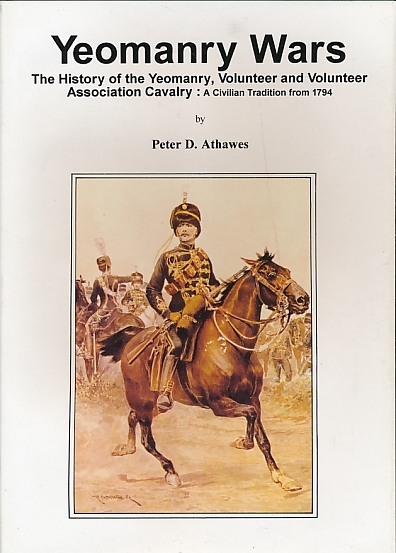 The History of the Yeomanry Volunteer and Volunteer Association Cavalry: A Civilian Tradition from 1794. Includes maps, diagrams, b/w illustrations of badges and insignia. 300 x 220 mm (12 x 9 inches) - xxi, 262pp. VG: in very good condition with rubbed and edge torn dust jacket.